There’s Justine Sacco, the PR agent who tweeted a tasteless attempt at a joke about Africa and AIDS before falling asleep on an international flight, then awoke to discover that #HasJustineLandedYet was trending and people around the world were demanding her firing (and worse). There’s Lindsey Stone, who lost her job as a careworker for disabled adults after a private Facebook photo she took in her off-time became public and went viral. There’s Jonah Lehrer, the science writer who was exposed for plagiarism. And then there’s Adria Richards and a man pseudonymously called “Hank.” Richards was bothered by a pun she overheard Hank make to a friend at a tech conference; instead of confronting him, she tweeted a photo and the location of the offending jokester, who was removed from the conference, lambasted over social media, and ultimately fired after her tweets went viral. Upset at losing his job over a private joke he knew was stupid but didn’t realize was that bad, Hank posted a note in an online message board to vent, at which point the shame-tide turned to Adria, and she began to get threatening tweets, emails, and calls. All the people in Ronson’s book received threats so violent and personal, they feared for their lives and their safety. Many of them went into hiding. None of them have ever been the same. All these people did bad things — racist or disrespectful or unethical, or at the very least, questionable, things — but, Ronson argues, not so bad that they deserved the mob attacks they received, largely at the hands of social media users. With this book, he says, he hopes to make people aware of the real-life damage we inflict when we hoist our online pitchforks and torches and demand someone’s destruction as the price for their errors. Our events manager, Ashton Hickey — a longtime Ronson fan — sat down with the author, filmmaker, and journalist in New York last week to discuss the book in advance of his visit to Parnassus Books on April 14. Here’s their conversation. Exactly. So what do you think it is that tips it from what could be an intellectual discussion into this gleeful destruction? JR: Yeah, you see I was trying to shine the best light on humanity when I said that in the book, but I know what you mean, there is this sort of gleeful joy. I mean especially with Justine Sacco. Well, with everybody, but it’s really evident with Justine. Like the fact that she was asleep and unaware of her destruction was just hilarious to people. It’s a sort of massive empathy deficit. So have you been paying attention to people’s reactions now that these stories have been brought back up to see if anybody has changed their tune? JR: Yeah, so that’s the thing, yes with Lindsey Stone and yes with Justine Sacco too but — and I say this from a position of being myself, I consider myself a kind of social liberal who wants to use the right language and end bigotry in all its forms in whatever way I can help — but it’s people from my world who are the ones who seem to have their heels dug in the worst. They’re still trying to find ways to still justify it. A prolific Twitter user himself, Ronson has used tweets to study people’s online behavior. JR: Yeah, and the fact is I just don’t think that holds water, because she had 170 Twitter followers. Not only had nothing like that happened to her before; nothing of that kind had ever happened before — not in the sort of mega way that it did. She can’t be blamed for it. So you discovered that public shamings as a form of official punishment stopped in the 1800s because they were deemed too brutal. Do you think we’ll ever circle back around to that conclusion, or does the nature of the Internet make that pretty much impossible? So has writing this book and spending time with people like Justine and Lindsey changed your journalistic approach? Is that always in the back of your mind now, how you’re portraying people and whether you might be shaming them at all? JR: Yeah, much more. I mean, I think I’ve always tried my best, but there are times when it’s failed. I can think of a few times in the past. And quite often it’s the stories that went most viral. Like, I wrote this piece about [rap duo] Insane Clown Posse that went crazy-viral, but I can’t really defend that piece too well, you know, because everyone was laughing at them. And I do feel slightly less bad, because they got caught up in these sexual harassment suits… I’m sort of trying to find ways to feel less bad. But I’ve got to say, you’re right. Since doing this story, I can’t ever do that kind of journalism again. I have to dedicate the rest of my career to doing only empathetic stories. It’s like once you’ve seen the victims of this kind of thing it’s really hard to go back. I think doing entirely empathetic stories is going to have to be the way that I do the rest of my career. I was actually thinking about that as I was walking down here for the interview. I thought, I can’t. It has to be this from now on. Maybe in movies — it doesn’t have to be journalism — but stories that understand people and make people empathize with people. Especially the sort of people that other people will sometimes attack, you know? Maybe that has to be what I do from now on. As you said, these shamings are happening every day, so you had a lot to pick from. What was it about the ones you included in the book that made you choose those? JR: I wanted to find people who were basically ordinary members of the public. I mean, I know there are a couple of exceptions, like Jonah Lehrer. But mostly, people who were sort of ordinary members of the public whose transgressions were really slight and who were massively, disproportionately punished for it. That just felt like the best way. Like, if Justine’s intent had been to be racist, you know, I wouldn’t have put her in the book. I just wouldn’t have felt comfortable doing that. I would’ve put Monica in there, and in fact I tried a number of times, and I think she was really nervous about stepping out. I was also kind of interested in people who were being attacked by people from my circle. Did you hear the story about this scientist who flew a probe 30 million miles and landed it on a comet? So that’s like one of the greatest scientific achievements ever! And in the press conference, he was wearing a kind of inappropriate shirt. It was like a Barbarella sci-fi buxom-women shirt, and he was just destroyed for that shirt. And just like with all these transgressions, it was kind of stupid, because you know science and tech is too male-dominated, and it wasn’t a great idea to wear that shirt, given that everybody knows that about science and tech. But this guy was in tears when he’d worked out what he’d done and how everybody hated him. He was crying in this press conference. So that was a story that I wanted to put in the book. A lot of the people in the book hadn’t talked about what had happened to them before. What do you think it was about you or the book, or both, that made them finally want to go through dredging all that back up? JR: Nobody talked to me willingly. Almost nobody. A few said yes straightaway, but the big main shamees — Jonah, Justine, Adria, Lindsey — they took an unbelievable amount of persuasion. I think ultimately I kind of wore them down. Also I could honestly say to them with my hand to my heart, I think what happened to you was terrible. Even Jonah, I think the brutality when he tried to apologize was terrible. But with Justine and Lindsey, I could really easily say, you’re the wronged party here. And not only are you wronged and nobody gets it, but this is kind of an important moment in history. I practically said to Justine, I can’t remember if I used these exact words, but something like, “It’s beholden on you for the greater good of society to tell this,” and I meant it. So Justine was like, OK you can interview me, but I’m going to withhold my right not to let you use it. Then there was this really tense four-month wait where Justine was deciding whether or not to let it go on the record. I think I would’ve been absolutely crushed if not, because to me she was the epicenter of this book, but thank god she said yes. Then when I met her again, she started to regret it. Last autumn, she was like saying to me, I wish I hadn’t talked to you… I’m in a new job now… I’m beginning to get my life back together… But then when the book came out, she was like, I’m so glad I talked to you. So thank god that all ended well. You were talking about Jonah Lehrer, I remember reading about his attempt at an apology and the Twitter stream of awful comments about him and it making me physically – like, I was sweating it was so horrific. That was one of the parts that got to me. JR: Which is exactly what I wanted to achieve, because I wanted people to feel the pain. The only way to write this book was to make people feel the pain. You’ve said that you left the interviews with these people feeling more nervous, that there was a dread you had with these stories that you didn’t with your others. When you actually sat down to write the book and put it all together, was that harder? Was it a different experience writing this one? Have you heard about the Milgrim experiments [the famous 1963 studies in which people were instructed to deliver what they believed were painful shocks to another person]? Are you familiar with those? One line from your book made me think of those, the line about delivering the tweets like drone strikes. In the Milgrim experiments, they coded specifically for physical distance, and I think there was a variation where they made the participants take the hands of the people they were “shocking” and physically put it on the plate that would “shock” them, and basically no one did it. They just wouldn’t do it at close range like that. JR: Oh wow, I didn’t know that. Do you think that’s all it is, physical distance? Or is it more complex? JR: I think it’s one other thing. Have you heard of Charlie Brooker? He’s a British comedian. The thing you might know him from is a series called Black Mirror. JR: Yeah yeah yeah. So he was one of the very first people to read my book, and he wrote me this really funny email about it, and he brought up the Milgrim experiments, and he said – and I might even put this in the paperback, it’s so funny – he said it’s like the Milgrim experiment but instead of everybody trying to impress a scientist in a white coat, everybody’s trying to impress a verified celebrity with a stupid grin in their avatar — like they’re trying to impress Ricky Gervais or whatever. So I think you’re right, it’s distance, but it’s also this idea of wanting to impress authority. So do you think it is harder or easier for people who are already in the public eye like Jonah Lehrer to survive these, or do you think it’s case by case? JR: I think to an extent it’s case by case. I think actually the nicer a person you are, the harder it is, in a way, to survive. I mean look at Monica, who used that line in her TED Talk about almost being humiliated to death. Look at Lindsey, who stayed up all night reading every single message and tweet about her, assimilating it all, feeling totally worthless – and meaning the word, worthless. I mean, Lindsey had no practice whatsoever. She just works with adults with learning disabilities, that’s all she ever did. That must be so hard for her. At least with somebody like Jonah or me, you know, I’ve had good reviews and I’ve had bad reviews and people have said nice things about me and people have said mean things about me, and after a while, you kind of realize none of it matters. The praise doesn’t matter and the criticism doesn’t matter so you can just get on with your life and do the best work you can possibly do. That doesn’t mean I’m immune to it. 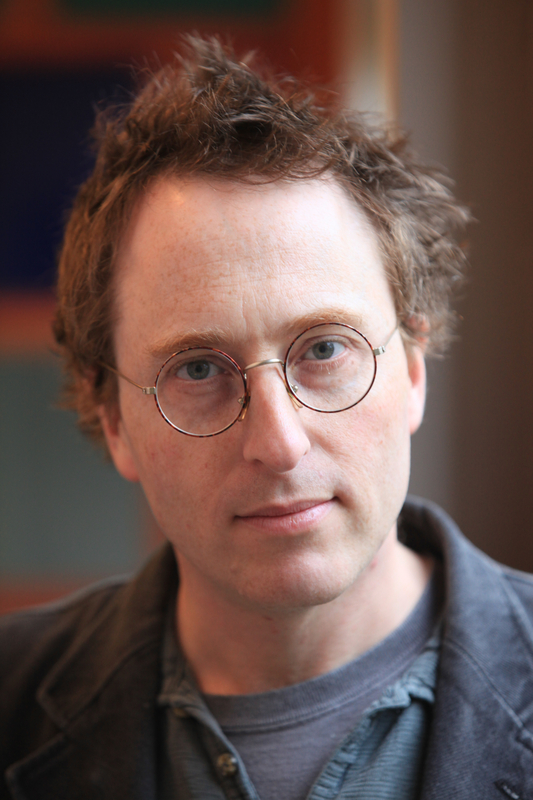 So when my Justin Sacco story was excerpted and a few people — most people loved it, but — a few people were going, “What racist is Jon Ronson going to put his cape on for next?” Like Lindsey, I read every single one, and it did make me upset. That week I was waking up at like 4 in the morning and I couldn’t get back to sleep. So even somebody like me who is way more used to it, it still affected me. So I think it affects everybody, but if it’s the first time it’s happened to you, and you’re completely unprepared, like Lindsey, I think it’s probably especially terrible. I think there are far fewer shameless people out there than people think. People assume a big celebrity or a big politician is shameless. Actually I think it probably crushes people a lot more in general than people realize. OK, I have a couple bookstore questions for you. What’s the best book you’ve read recently? JR: Um…actually just before I saw the movie of Gone Girl I read the book. I was running so fast on the treadmill because I listened to the audiobook. I know that’s a really terrible answer, but Gone Girl. I loved it. JR: Yeah, yeah, yeah! When she turns up and the door opens and she’s standing there and your heart is pounding. Whereas in the movie, I kinda didn’t care. Right. Not as much urgency in the movie. So what is your favorite thing about going into a real bookstore? JR: I think I really like going to the niche corners. The psychology, the strange corners. I tend to bypass the really big books on the front table, and it’s really nice to find something in psychiatry or new age even, I think that’s what I really like. Somebody’s life’s work that’s kind of hidden away on a shelf in a section that people don’t normally flock to. 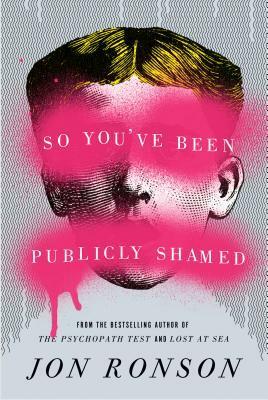 We look forward to welcoming Jon Ronson into the strange corners of our bookstore on April 14, when the internationally bestselling author will sign and discuss So You’ve Been Publicly Shamed at 6:30 p.m. This event is FREE and open to the public. BONUS FEATURES: Visit our Tumblr to check out the side conversation Ashton had with Ronson about his film, Frank, and how she accidentally made him cry. 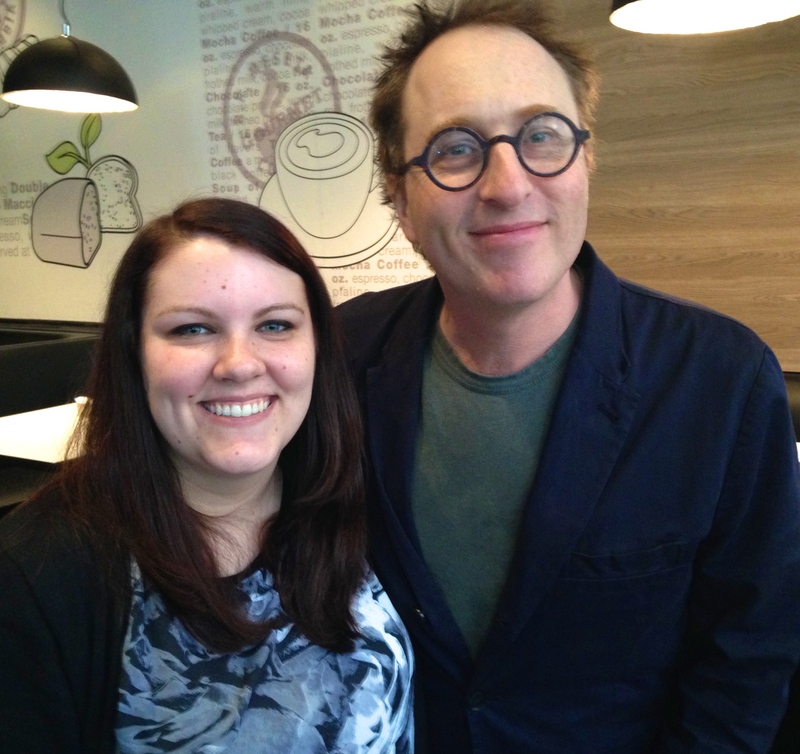 And hear another great interview with Ronson on Penguin’s Beaks & Geeks podcast, below.